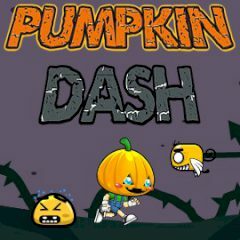 Run, dodge saws and spikes, collect pumpkins and get a medal for your race. Enjoy the game! Jump or slide under the obstacles to get medals in the end of each level. Collect pumpkins to buy boosts for the next attempt and try to get further.